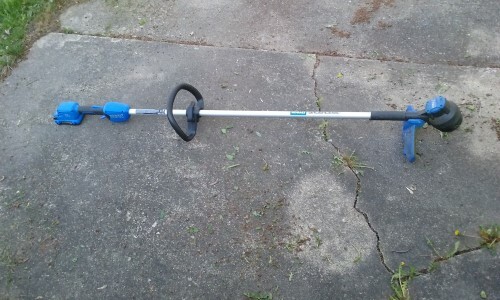 Mowed the front yard, and used my new weed whacker for the first time. It’s battery powered, but the battery lasted long enough. Shredded the weeds around the trees and flowerbeds in the front yard.